In honor of Robb's amazing 40th birthday cruise and because we have quite a few members on here who are into cruising, I thought I would put together an official TPR "Cruise" thread! The Cruise Experience and Theme Park Experience are very complimentary and in many ways similar - heck most of the newer ships are catering to the thrill seeker in the attractions they offer. This is a great time to be into cruising with many new and innovative ships around the corner. The Carnival Dream sailed just a few months ago, the worlds largest ship - Royal Caribbean's Oasis of the seas hit the seas in December and the Norwegian Epic with its huge AquaPark will sail out of Miami in June. And of course don't forget the Disney Dream which is coming in early 2011 with the worlds first Water Coaster at sea! I will post regular updates with any interesting news in the cruise industry and I invite you all to as well. This will also be a great place to post questions about cruising that you might have or questions about individual ships. Also if you have a short "cruise only" TR that might work best here - feel free to post it as well. 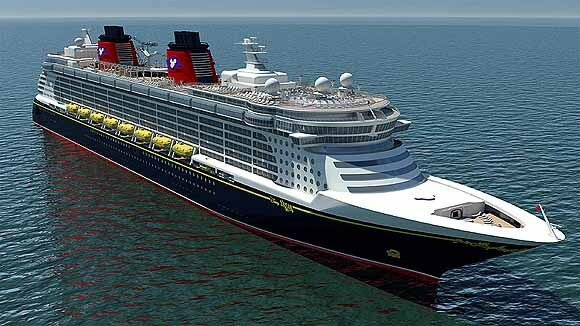 The Disney Dream - it will have many "never seen before" features including the first Water Coaster at sea! 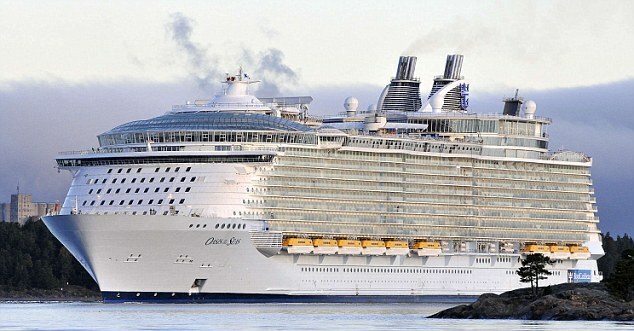 The Oasis of the Seas - the largest cruise ship in the WORLD. Last edited by jedimaster1227 on Thu Feb 14, 2019 2:28 pm. I decided to post about this ship first since it has received the least amount of press of all the new builds but has some of the most innovative features. 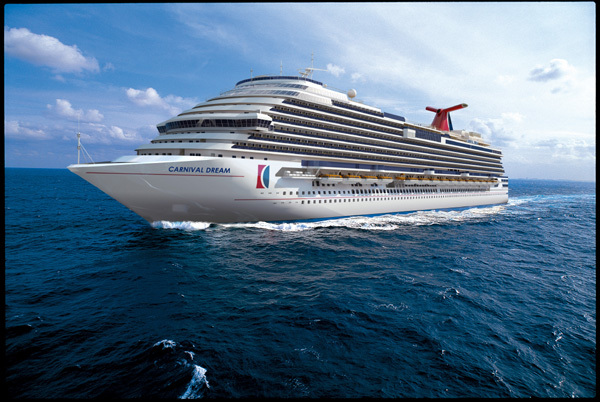 This ship will begin sailing in June 2010 out of Miami and will do 7 day Eastern and Western Caribbean itineraries. Size wise it will be 153,000 gross tons which puts it just below the Freedom Class of Royal Caribbean Ships - still huge, but not competing for largest in the world! For those of you who have not sailed Norwegian before, what makes them unique is their freestyle concept. They ONLY offer anytime dining and have more specialty (i.e. upcharge) restaurants than any other line. They also have more 24hour a day options for night owls. This is going to be in place on the Epic with MORE dining options than ever before - 15 that have been announced so far! 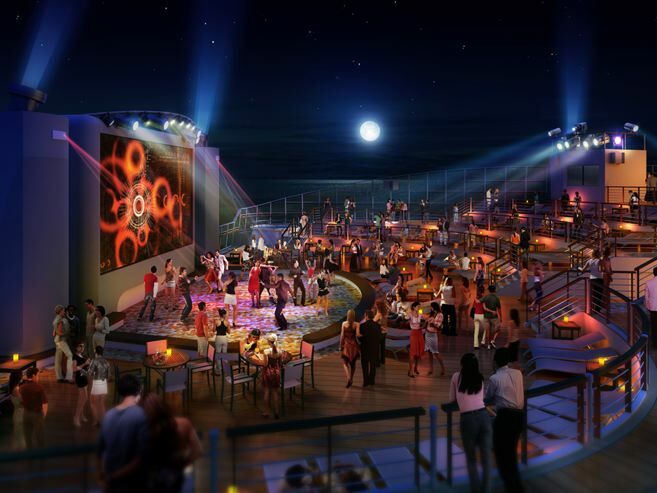 It will feature everything from a dining and dancing area called "The Manhattan Room" to the largest Tepanyaki area at sea. 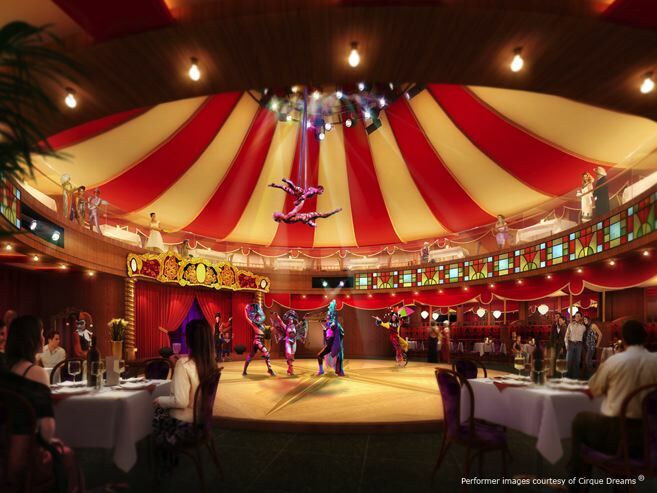 It will also have a "cirque"-like show in its Spiegel Tent where you will watch a show while you dine. It will still have dining options that are included with the fare price but more are upcharges than ever which is sure to anger some customers. The Epic is taking freestyle to the next level with Freestyle Entertainment. On a traditional ship you have a main show room and the acts rotate each night. On the Epic you will get tickets for the acts you are interested in and rotate showrooms! 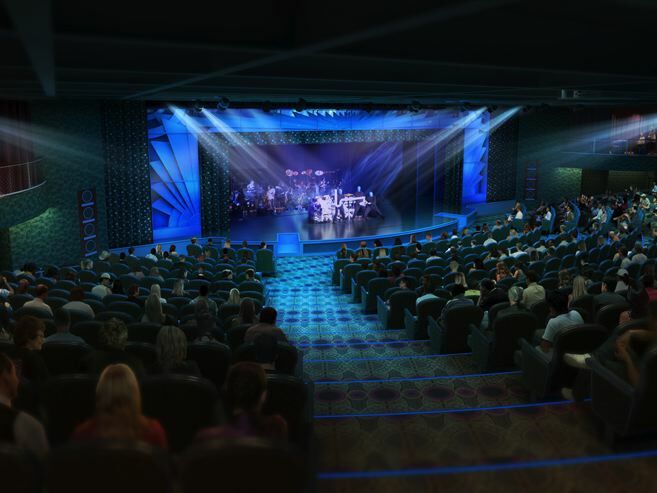 They also have "name" acts which is a bit of a change - Blue Man Group, Howl at the Moon Dueling Pianos, Legends in Concert and Second City Improv will all be calling the ship home. Nightlife has always shined on Norwegian - they cater to a younger crowd but not in a trashy "Carnival" way. Think more south beach than keg party. The Epic will have everything from an Ice Bar to an Ibiza style outdoor club and a white hot south beach inspired outside area. 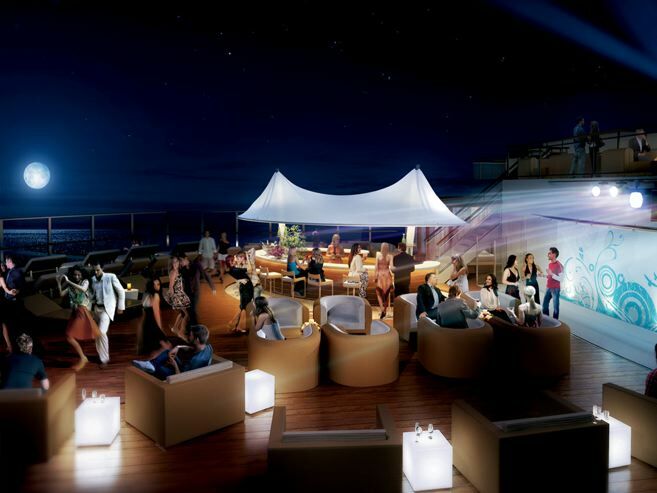 It will also have an exclusive ultra-lounge and a fancy Jazz Club. 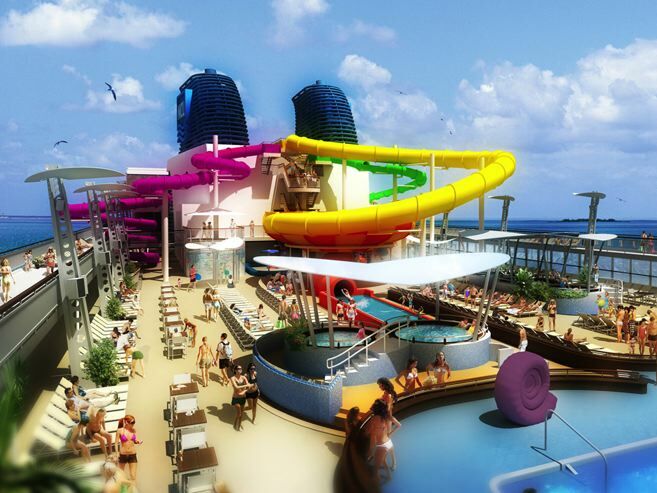 Families will have entertainment options as well with a 3 lane bowling alley and a waterpark at sea called "AquaPark" which will have a bowl slide and another that twists and turns as it goes three stories down. 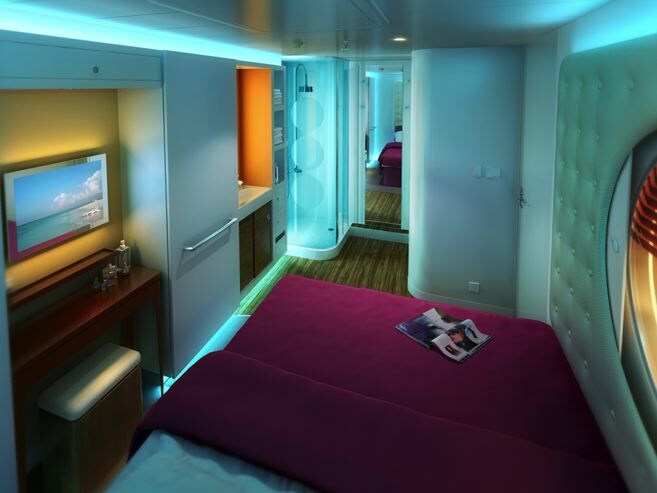 Staterooms will also have some new twists as you can see by the pictures below. Not sure how I feel about the shower that is almost *in* the room but I like the boutique hotel feel of the staterooms. 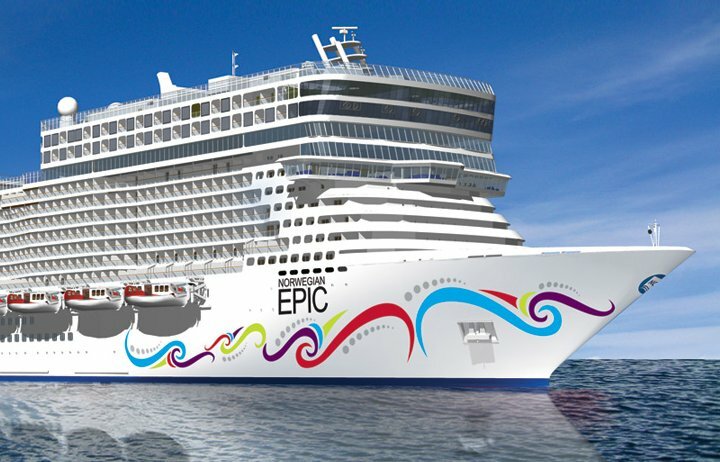 Norwegian has already said that the Epic will be a "One-of-a-kind" ship due to the cost and their current financial condition. Rates are very cheap for some of its maiden voyages and it will be interesting to see if it will sink NCL or keep it afloat. While I am not the biggest NCL fan - they do some things very well and this ship should cater perfectly to their core audience. Not a very attractive ship - the area up top which looks out of place is where some of their spa staterooms are. Think Concierge area. The Manhattan Club is one of the main (read FREE) dining rooms. It will have ballroom dancing during dinner. 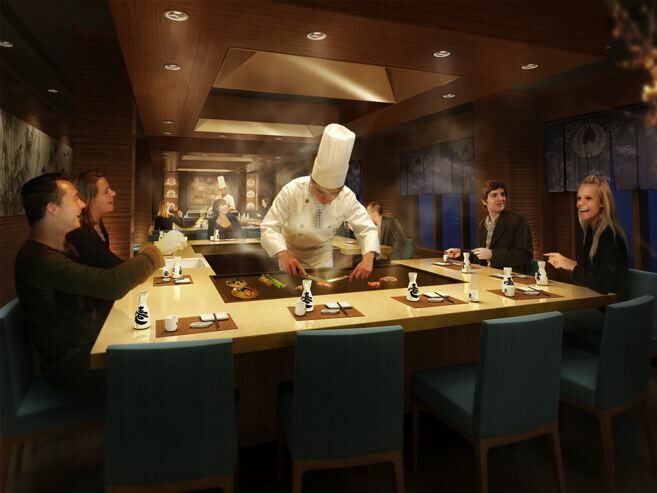 Teppanyaki dining is VERY fun at sea. 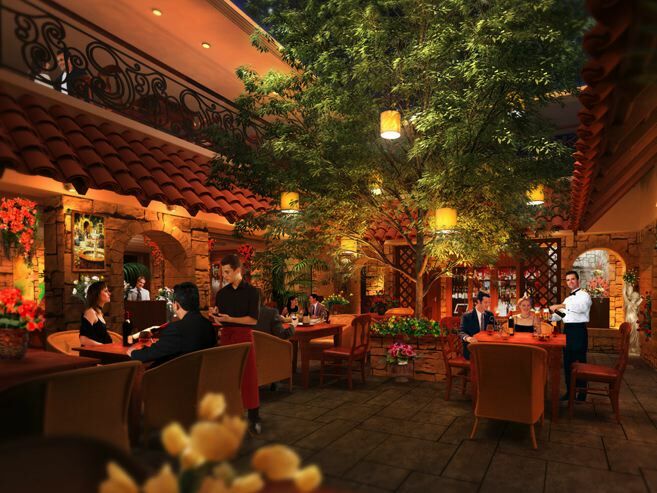 La Cucina will be tuscan style Italian in a beautiful setting. Dining with a cirque-style show taking place around you? Count me in! This is the Epic Theater where the Blue Man Group will perform. 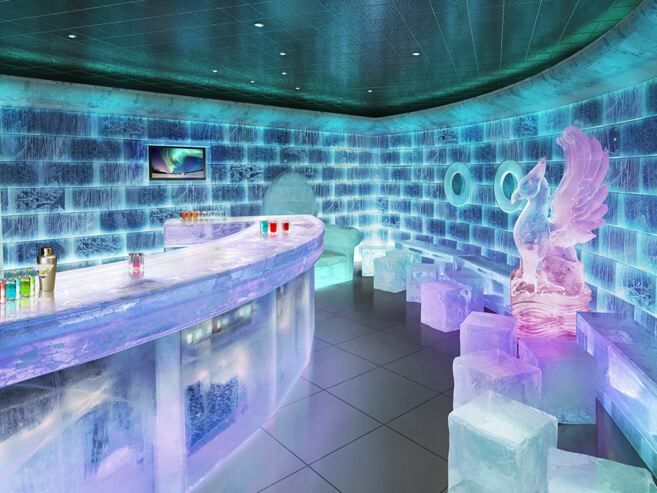 Ice Bar at sea... Cool! This is the outside SpiceH20 club at night. It will be like a hot night club in Ibiza. Posh - a South Beach inspired club. 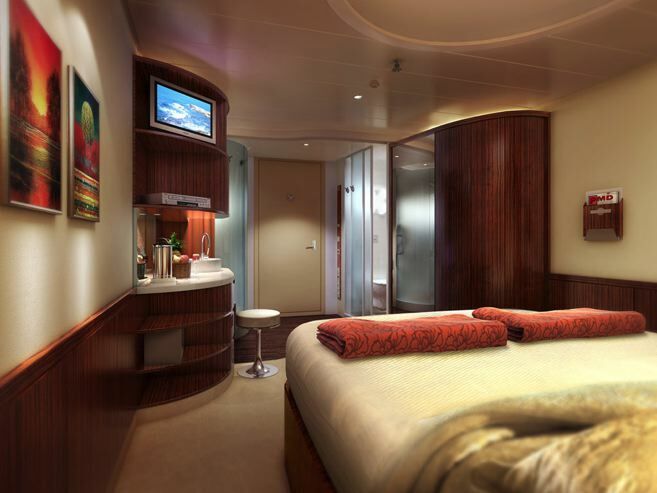 Inside stateroom - take a close look at the shower area in the back right. Weird huh? Love the look of this outside stateroom - feels like a high end boutique hotel. Thanks for starting up this thread Reed! Very excited to talk 'cruise' with a bunch of our members. I agree that the Norweigian Epic looks 'interesting' I just don't like the 'freesytle concept' enough to book on NCL right now. I don't mind the extra pay for restaurants like so many people complain about but I do just like my wait staff to get to know me and my crazy eating habits! The waterslides look great, I hope they can open at sea. I've heard that some of these bigger water slides have a lot of down time because it has to be VERY calm for them to open them up. ^If you had the money, would you live on The World? It sounds like they would have sufficient facilities for you to still run TPR while living on the ship. Wow! I had no idea the NCL ship had all those different things going on. I'm not really as big of a fan of the "Freestyle Cruising" either, but that ship does look a lot more interesting than the new Carnival ship. 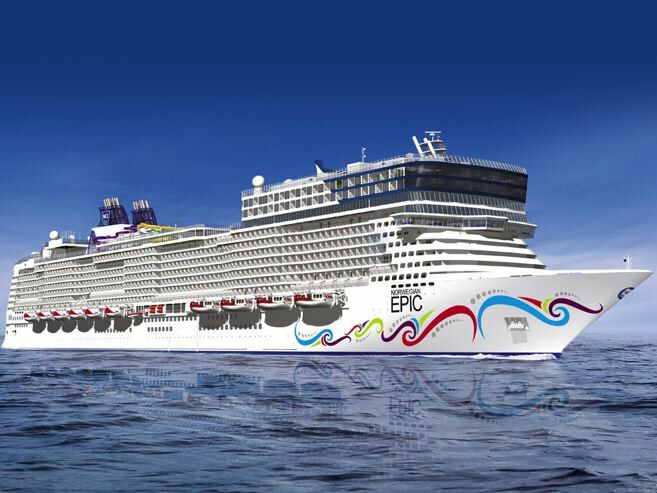 While I think that of all the new ships that have come along the Oasis appeals to me the most, but I'd think I'd be willing to give the Epic a try over the Carnival Dream. It is interesting to see how many "theme park" like features these ships are including from things like carousels, zip lines, water park attractions, water coasters, cirque shows to the Blue Man Group. How much longer until one of them gets a coaster? robbalvey wrote: It is interesting to see how many "theme park" like features these ships are including from things like carousels, zip lines, water park attractions, water coasters, cirque shows to the Blue Man Group. I could picture a "Mountain Coaster" being installed on one of these. It'd be pretty sweet if they could send it out over the side like the Disney slide will do. robbalvey wrote: Wow! I had no idea the NCL ship had all those different things going on. I'm not really as big of a fan of the "Freestyle Cruising" either, but that ship does look a lot more interesting than the new Carnival ship. ^It basically means you don't have a set dinner time like most traditional cruises. Almost all other ships have a Main and Late Seating; 6 and 8:30pm. Most of those traditional ships have now also started adding a flexible dining where you can make a reservation for anytime between 6 and 8:30. 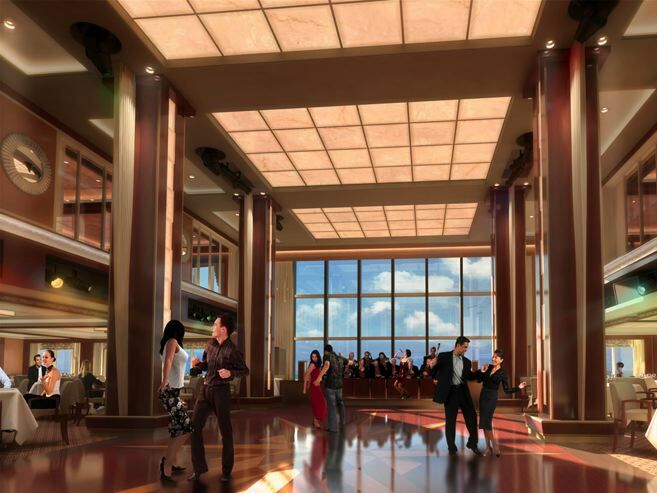 On NCL it's ONLY flexible dining, which can often result in long waits and denial in getting into some restaurants if you didn't think ahead of time exactly what you want to do and make reservations for every day. I agree with Robb, the Carnival Dream really is nothing special, just a slightly bigger version of their previous largest ship. Plus it's been getting some pretty bad reviews as opposed to Oasis' glowing reviews! I really like having a set dining time and the same waiter, they really get to know you and it is one of the moments while cruising that I really look forward to. They seem like family for the time that you are on the ship. I really don't think "Freestyle Cruising" will appeal to me either.